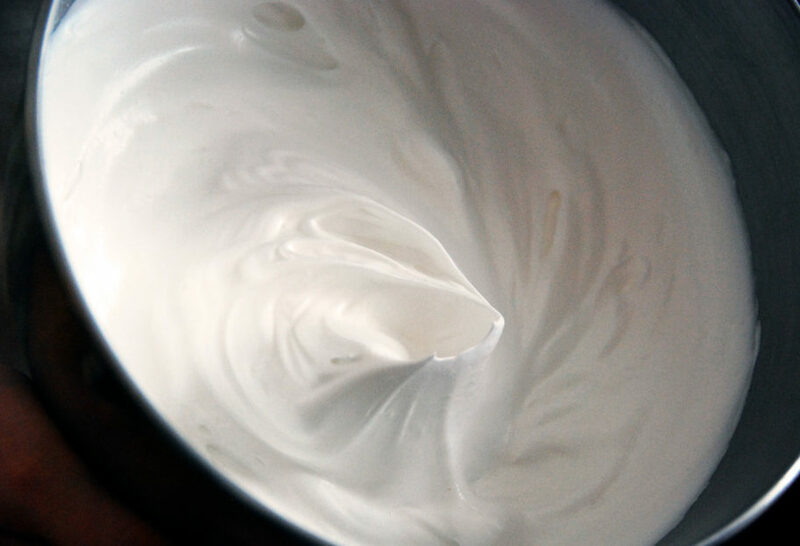 You want whipped cream that is foamy, airy, and delightful with gorgeous waves? Make sure that your heavy cream is really cold. Use a bowl and beaters that are clean and dry. 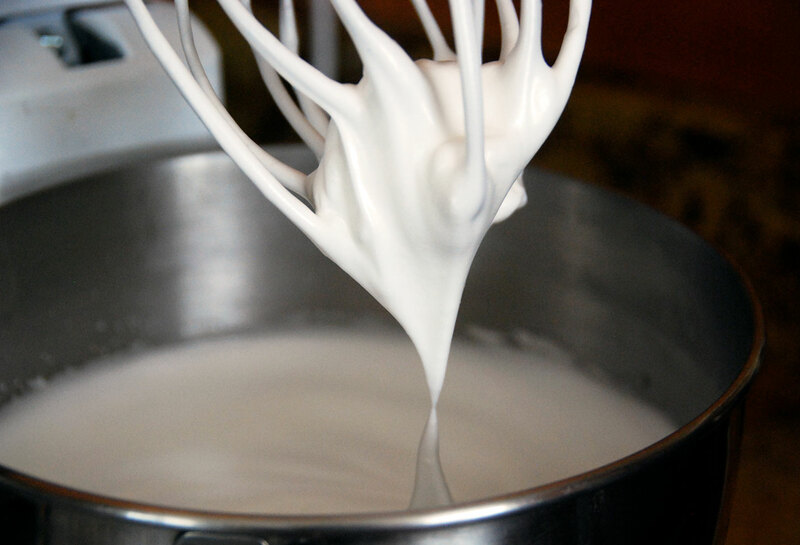 Same goes if you choose to use an electric mixer, or if you beat the cream by hand with a whisk. It is a plus if you can chill them for a half hour before beating the cream. But don’t sweat it if you couldn’t spare the time! It also helps to wrap a kitchen towel around the base of the bowl to keep it from moving around, if you are using beaters or whisking by hand. The crucial thing, as you beat the cream, is to be on the lookout as the cream transforms. Right then, you may want to beat a bit more until you get stiff peaks: the waves can stay put as you lift the beater. Then you have to stop. If you continue beating, the cream will turn grainy and in a few seconds more will have been churned into butter. 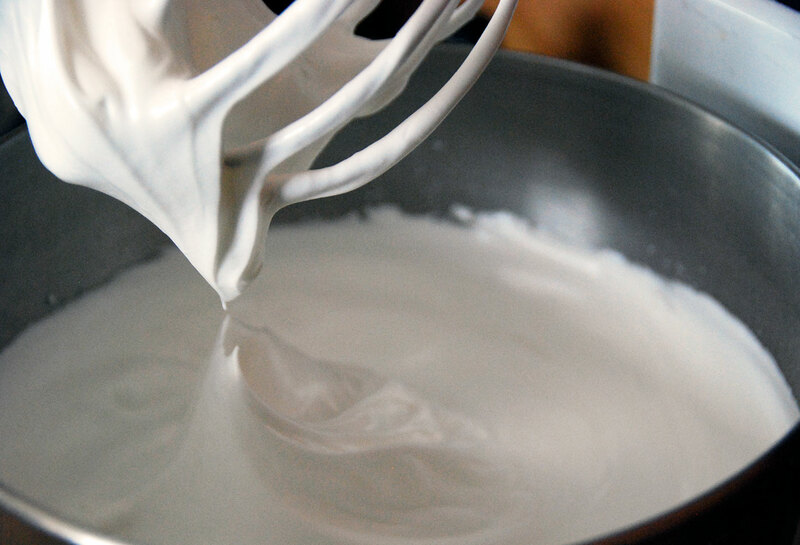 If you want to add flavorings…such as sugar, confectioners’ sugar, vanilla, lime or lemon juice or zest, or some kind of alcohol, to name a few…incorporate them either right before you start whipping the cream, or after you beat it just a little and you achieve soft peaks. That way the flavorings have the opportunity to really blend with the cream. My mother always put a little scuppernong wine. She added it after whipped. It is especially good over fruitcake, in coffee, and with ambrosia made of oranges and coconut. I carry on the family traditions. That sounds yum, Pell! Thank you for sharing. Does your website have a search engine? I’m looking for a really good chili rellenos (sp) recipe. I watched your show for the first time today and I wanted to say I’m so impressed by it and I loved it!!! As a Mexican living in the United States I can tell you I’m so exited and so proud of you!! I wish you lots of success and all the best for you and your family!! Thank you, Vicky! Best to you and yours as well! I have to say that one of my biggest pet-peeves about where I live in Tamaulipas is that I cannot find a heavy whipping cream with %35 fat or more. I can only find “crema” which has %25 fat. Can that be used to make whipped cream? I’ve also looked at our local Soriana, and they only have “Chantilly” whipped cream with vegetable oil added. The fat content is not very high, besides I’m looking for pure cream. A lot of people seem to use “Media Crema” for their strawberries or frostings, but that is also lower in fat and there isn’t much body there. I don’t think they even know what they are missing out on. I just discovered your blog after reading an article about safer stoves. I can’t wait to try some of your recipes! You are so darn cute! I love you, your family, your cooking, and your Show! Since my husband “went ahead”, you have helped me feel happiness. I love “JuJu”…so cute! It’s just a pleasure to go through your recipes and tips. Thank you for making our lives sweeter!!!! So nice of you to say, Rosalid! I hope you have a chance to try many!! Will the cream fluff up more if i add cream of tarter?